HTC loses alot for the second consecutive quarter, sales volumes HTC for the flagship Htc One M9 were so poor that the manufacturer has decided to make amends to investors prompt release of the new mobile flagship. The device will be called HTC O2 and will be equipped with a Snapdragon processor 820, although previously mentioned Snapdragon 810. HTC O2 will receive a top-end hardware stuffing, design in an all-metal body. 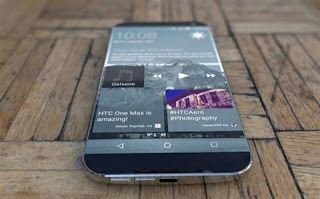 Some insiders suggest that the HTC O2 will be available in two versions: with 6-inch and 5-inch display. The 6-inch version, which is coming at the end of this year, will receive a screen resolution of 2560x1440 pixels with a density of 490 ppi, 4 GB of RAM, 64/128 GB internal memory, the aforementioned 820 Snapdragon Adreno 530 graphics chip, 20.7-megapixel basic and 5-megapixel front camera. The smartphone will run on battery capacity mAh 3500, and its front side will be able to boast a frameless display and the presence of stereo BoomSound. The 5-inch HTC O2 version should appear at the beginning of 2016. This is a more "equiped" device with 2K- or 4K-screen Display and a more faster Snapdragon processor, running at a frequency of 3 GHz. The rest of the specifications are identical to those of the 6-inch HTC O2. In terms of design the two phones are not much different from each other. It is expected the phone will be dust and moisture proof.